All Flourtown homes currently listed for sale in Flourtown as of 04/19/2019 are shown below. You can change the search criteria at any time by pressing the 'Change Search' button below. If you have any questions or you would like more information about any Flourtown homes for sale or other Flourtown real estate, please contact us and one of our knowledgeable Flourtown REALTORS® would be pleased to assist you. "Down a private lane in an absolutely peaceful setting sits a masterfully converted and beautifully renovated barn. 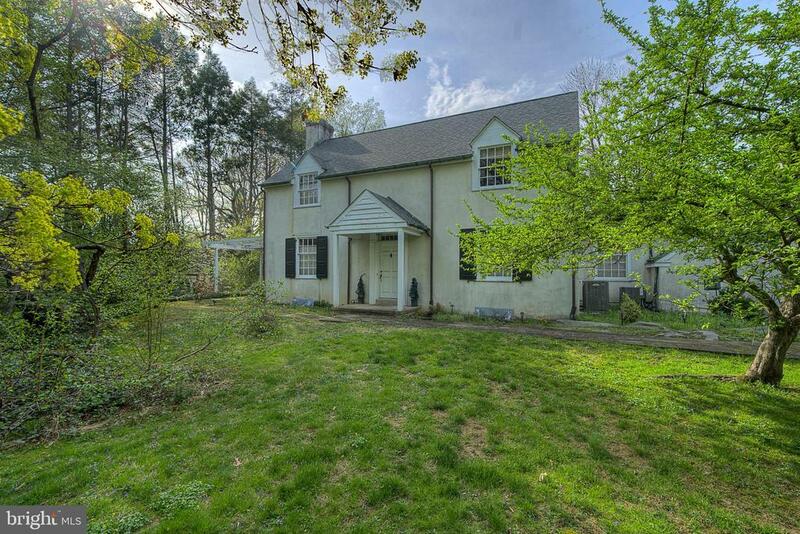 Set on 1.75 acres with fantastic views overlooking Wissahickon Creek, Fort Washington State Park and the Green Ribbon Walking Trails. 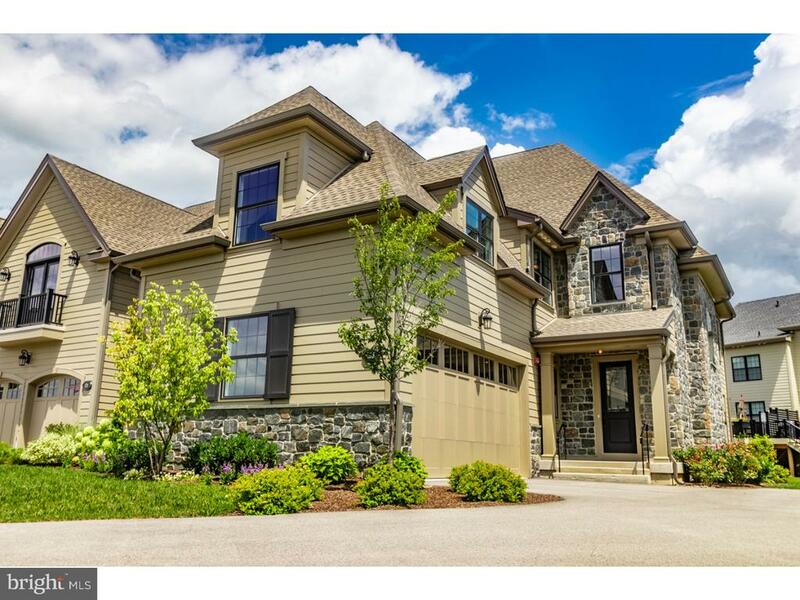 This 5 bedroom, 4.5 bath home has a flexible floor plan offering exquisite functionality and inviting living spaces. The spacious eat-in kitchen with pantry has phenomenal views and plenty of room for entertaining; an adjacent dining room and great room with fireplace offer access to the rear deck and terrace. Cozy, sunlit den with wood stove and cute office with beamed ceiling. The light-filled master suite has a private balcony overlooking the pool, two walk-in closets and large, updated bath with walk-in shower and skylights. Two well-proportioned bedrooms, one with lofted area, and full hall bath are also found on the main floor. The first floor offers plenty of additional living space with 2 bedrooms, hall bath, large media/game room and a cabana conveniently located with access to the pool for summer entertaining. Huge built-in garage/shop and storage space totaling 1550 sq ft. The yard is an oasis with creek views, pool, outdoor shower, hot tub, and numerous terraces nestled amongst mature trees and gardens. Lovely detached cottage totaling approximately 700 sq. ft., perfect for guests, nanny or in-laws with 1 bedroom, bath, living room, kitchenette and private deck. Just minutes from everything: shops and restaurants of Flourtown, Ambler, Chestnut Hill, major highways and parks. Located in the award-winning Colonial School District, with access to many nearby private schools. This is the perfect retreat right in the heart of it all." "Welcome to your dream house! 6032 Creekside Drive in The Reserve At Creekside awaits you with superior construction, Andersen Windows, state-of-the-art appliances and amenities, and a spectacular range of luxury finishes. All designed for the easy, turn-key, energy-efficient, and low-maintenance lifestyle you desire today.6032 Creekside is an end home that opens to an inviting foyer and a spacious living room with a corner fireplace. A large dining room is situated perfectly with access to the well-appointed gourmet kitchen. A breakfast area opens to a deck. A study/library is also located on the first level. On the second level, you~ll find a luxurious owner~s bedroom suite with a spacious owner~s bath. Two additional bedrooms are served by a hall bath. The finished basement has a spectacular family room, bedroom and bathroom.This beautiful carriage house offers you a completely unique lifestyle for which The Reserve at Creekside is known,, as you'll be free of typical yard work and exterior maintenance, plus you'll enjoy a spectacular, 4,500 sq ft clubhouse and an outdoor swimming pool. Additionally, The Reserve at Creekside is nestled between two of the area's most prestigious golf courses, and just a few minutes from the quiet, natural beauty of Wissahickon Valley Park and Ft. Washington Park, this is a location that is as convenient as it is beautiful - all year round. The Reserve at Creekside is close to the shops and supermarkets of Flourtown, and minutes from Chestnut Hill and its two train stations. There is easy access to the PA Turnpike and the Ft Washington train station." "The Reserve at Creekside is beyond comparison, the most exciting brand new community in the region, and this beautifully designed home reflects the beauty and architectural style of the historic homes of the area. A completely unique lifestyle is part of the experience, as you'll be free of typical yard work and exterior maintenance, plus you'll enjoy a spectacular, 4,500 sq ft clubhouse and an outdoor swimming pool. The Fairmount MODEL HOME end home opens to a foyer with a grand staircase. The foyer leads to a large dining room and living room with fireplace. The open kitchen layout is perfect for entertaining with a center island, a pantry and optional pocket door with access to the dining room. A breakfast area opens to a deck & sunroom. A mudroom entrance is also accessible through the garage. On the second level, you'll find a spacious owner's suite with an optional balcony, two large walk-in closets and an extravagant bath. Two additional bedrooms are served by a hall bath. Nestled between two of the area's most prestigious golf courses, and just a few minutes from the quiet, natural beauty of Wissahickon Valley Park and Ft. Washington Park, this is a location that is as convenient as it is beautiful - all year round. The Reserve at Creekside is close to the shops and supermarkets of Flourtown, and minutes from Chestnut Hill and its two train stations. 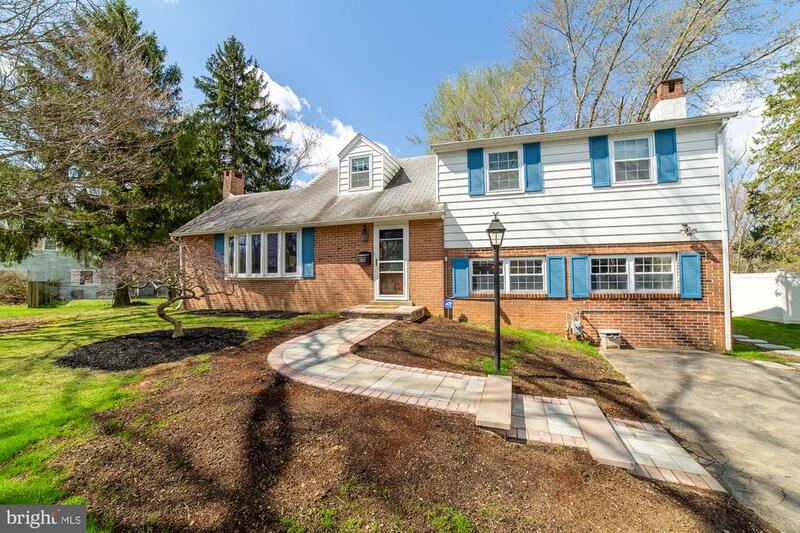 There is easy access to the PA Turnpike and the Ft Washington train station.Pricing and Features of home are subject to change without notice." "Heart of Flourtown. This 2,911 square foot, 3 Bedroom 2.5 Bath two story center hall Colonial sits on a bucolic 2.68 Acres. There is potential to subdivide off a lot in the rear with access to Cedar Lane. Approach along the long gravel driveway. Plenty of parking, and a detached car port for cover. The homes original garage was converted into a spacious Family Room, enter here on the side of the home as the owners have done for years. This room has a brick feature wall, and sliders to the rear yard with wonderful views. Large Closets for storage! Continue into the kitchen, a cheery eating area to the left as you find the updated cabinetry at the end of the room with Quartz countertops, Bosch Dishwasher, Bosch Gas Range and Bosch Refrigerator. The kitchen (renovated 2016) wraps around to a Storage Room / Pantry / Laundry Room. Continuing off the kitchen is your choice of a Small Den with half bath or access to the front formal Dining Room. Original Hardwood Floors. Both the Den and Formal Dining Room lead to the front Foyer. Here you can enter into the Formal Living Room with Dutch Doors, recessed lighting, wood burning fireplace and random width hardwood flooring. We now head upstairs. Two good size secondary bedrooms, a full hall bathroom with original ceramic tile. The master bedroom does have a walk in closet and a small en suite bathroom with stall shower. Walk up Attic. 200 Amp Electrical. New Roof 2016. New Central Air 2016. Owner is sad to go, and hopes next owner will appreciate the beauty and quiet of this amazing property. Make an appointment today!" "Looking to live in the award winning Reserve at Creekside without waiting for a new build? 6165 Creekside Drive will impress with its open layout and 9 foot ceilings throughout. With a low maintenance lifestyle and steps away from the pool and work out center, you can have the best of all worlds. Upgrades include a full finished basement ~extended deck with stairs and gas line for grill~custom lighting~soaking tub in the master bath~walk in shower in the hall bath~open stairwell to basement with pine treads~kitchen back splash~fresh paint~balconette with French doors with arched transom~Custom Closets in Master Bedroom~Ceiling Detail in Living Room~extra recessed lighting. Showings start Friday 4/19. Home is owned by a PA licensed realtor." "New Home Construction! The Reserve at Creekside is beyond comparison, the most exciting brand new community in the region, and this beautifully designed home reflects the beauty and architectural style of the historic homes of the area. A completely unique lifestyle is part of the experience, as you'll be free of typical yard work and exterior maintenance, plus you'll enjoy a spectacular, 4,500 sq ft clubhouse and an outdoor swimming pool. The Wissahickon model carriage home opens to an inviting foyer and a spacious living room with a corner fireplace. An optional elevator is available. A large dining room is situated perfectly with access to the well-appointed gourmet kitchen with optional wet bar. A breakfast area opens to a deck or optional sunroom. A study/library is also located on the first level. On the second level, you'll find a luxurious owner's bedroom suite with an optional fireplace and a spacious owner's bath. Two additional bedrooms are served by a hall bath. Nestled between two of the area's most prestigious golf courses, and just a few minutes from the quiet, natural beauty of Wissahickon Valley Park and Ft. Washington Park, this is a location that is as convenient as it is beautiful - all year round. The Reserve at Creekside is close to the shops and supermarkets of Flourtown, and minutes from Chestnut Hill and its two train stations. There is easy access to the PA Turnpike and the Ft Washington train station." "The Reserve at Creekside is beyond comparison, the most exciting brand new community in the region, and this beautifully designed home reflects the beauty and architectural style of the historic homes of the area. A completely unique lifestyle is part of the experience, as you'll be free of typical yard work and exterior maintenance, plus you'll enjoy a spectacular, 4,500 sq ft clubhouse and an outdoor swimming pool. This Gowen model carriage home welcomes you into the foyer and opens to a large dining room and gracious living room with fireplace. The gourmet kitchen includes an oversized center island and a large corner pantry. The breakfast area opens out to a deck or optional sunroom. On the second level, you'll find a lavish owner's suite with a large walk-in closet, a second closet, a bath with optional soaking tub and an optional balcony. Two additional bedrooms are served by a hall bath. The lower level offers a considerable amount of additional optional finished space and an optional bath. Nestled between two of the area's most prestigious golf courses, and just a few minutes from the quiet, natural beauty of Wissahickon Valley Park and Ft. Washington Park, this is a location that is as convenient as it is beautiful - all year round. The Reserve at Creekside is close to the shops and supermarkets of Flourtown, and minutes from Chestnut Hill and its two train stations. There is easy access to the PA Turnpike and the Ft Washington train station." "Welcome to this newly built home. No cookie cutter construction here, just lovingly hand built by local craftsmen . Entering the home from the front door, you walk into the light filled living room with its craftsmen style hardwood floors and wood burning fireplace (with a mantel of your choice). Did someone say fireplace, which will get much use during these cold winter months. Feeling hungry, you walk through the foyer (features a covered side entrance and powder room) and glide into the dinning room with its many windows and sliding glass doors. Adjoining the dining room, is the bright kitchen center island and granite counter tops. You find your snack in the stainless-steel refrigerator (by the way, all appliances are stainless-steel). You decide to enjoy your meal on the back slate patio that is off the dinning room. Feeling sleepy, you head back in and and head upstairs, you enter the master-suite, hang up your clothes in the walk-in closet, and feeling that you need to wash off the day, you take a nice long shower in the master bath before hitting the sheets. But no, instead, you decide to relax in the upstairs sitting area with its French doors that lead to the covered balcony and gaze at the stars. The second floor also features a full bath and 2 other large bedrooms waiting for you to decide if you hardwood floors or carpeting. Oh wait, i almost forgot! You need to check out the basement with its 2 separate staircases. tiled floors and tiled capped walls. Plenty of storage down here too, either in the unfinished storage room or the wine cellar. Now you just need to decide which vineyard....hmmm, decisions, decisions. This home is close to Bethlehem Pike with its many stores,restaurants and boutiques. Close to 309, the PA Turnpike and Blue Route." "New Home Construction! The Reserve at Creekside is beyond comparison, the most exciting brand new community in the region, and this beautifully designed home reflects the beauty and architectural style of the historic homes of the area. A completely unique lifestyle is part of the experience, as you'll be free of typical yard work and exterior maintenance, plus you'll enjoy a spectacular, 4,500 sq ft clubhouse and an outdoor swimming pool. 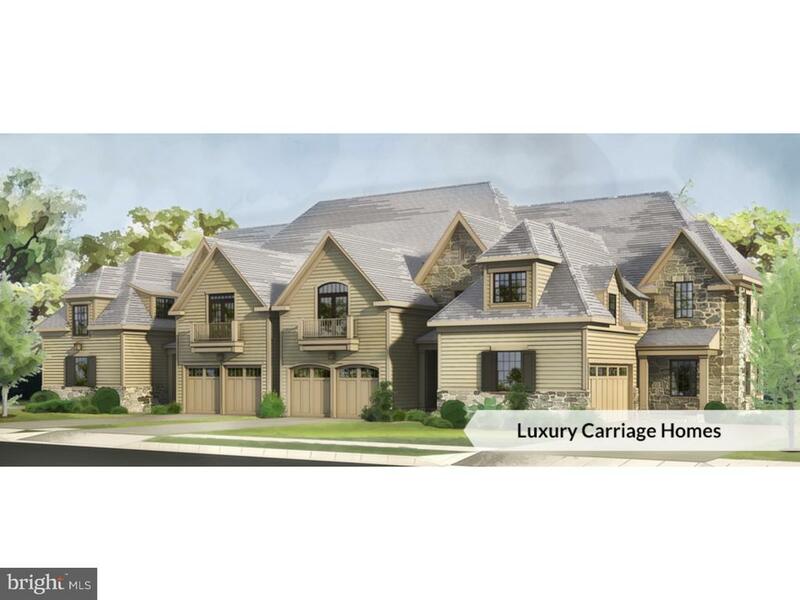 This Cresheim model carriage home includes a foyer and living room with a corner fireplace. The dining room allows easy access to the kitchen. The kitchen includes a large center island and a spacious pantry. The kitchen opens to a deck or optional sunroom. A study/library is also located on the first level. Upstairs, you'll find a grand owner's bedroom suite with an oversized walk-in closet, a second closet, and an owner's bath. Two additional bedrooms are served by a hall bath. The lower level offers a considerable amount of additional optional finished space and an optional bath.. Nestled between two of the area's most prestigious golf courses, and just a few minutes from the quiet, natural beauty of Wissahickon Valley Park and Ft. Washington Park, this is a location that is as convenient as it is beautiful - all year round. The Reserve at Creekside is close to the shops and supermarkets of Flourtown, and minutes from Chestnut Hill and its two train stations. 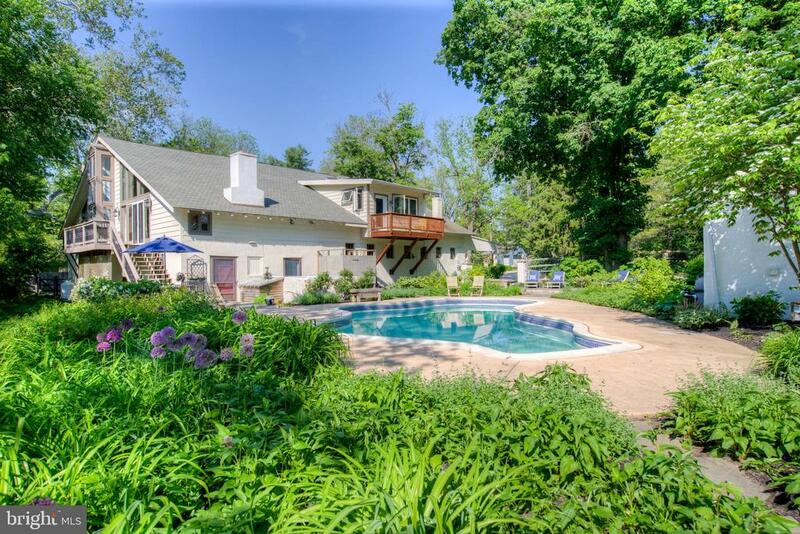 There is easy access to the PA Turnpike and the Ft Washington train station." "The Reserve at Creekside is beyond comparison, the most exciting brand new community in the region, and this beautifully designed home reflects the beauty and architectural style of the historic homes of the area. A completely unique lifestyle is part of the experience, as you'll be free of typical yard work and exterior maintenance, plus you'll enjoy a spectacular, 4,500 sq ft clubhouse and an outdoor swimming pool. The first floor of this Benezet model carriage home features an owner's suite with a walk-in closet and owner's bath. This bright and spacious home features an optional curved staircase in the foyer and a large living room with a fireplace. 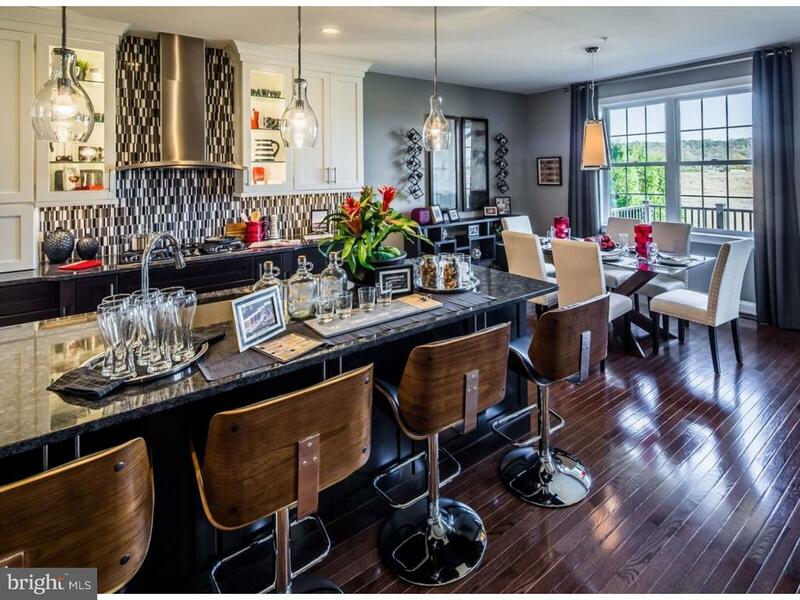 The gourmet kitchen includes a center island and leads to a deck or optional sunroom. An additional optional deck with trellis is available off of the living room. Upstairs, you'll find two additional bedrooms, large walk-in closets and a shared hall bath with options for shower or double bath. A sitting area overlooks the living room. Nestled between two of the area's most prestigious golf courses, and just a few minutes from the quiet, natural beauty of Wissahickon Valley Park and Ft. Washington Park, this is a location that is as convenient as it is beautiful - all year round. The Reserve at Creekside is close to the shops and supermarkets of Flourtown, and minutes from Chestnut Hill and its two train stations. There is easy access to the PA Turnpike and the Ft Washington train station." 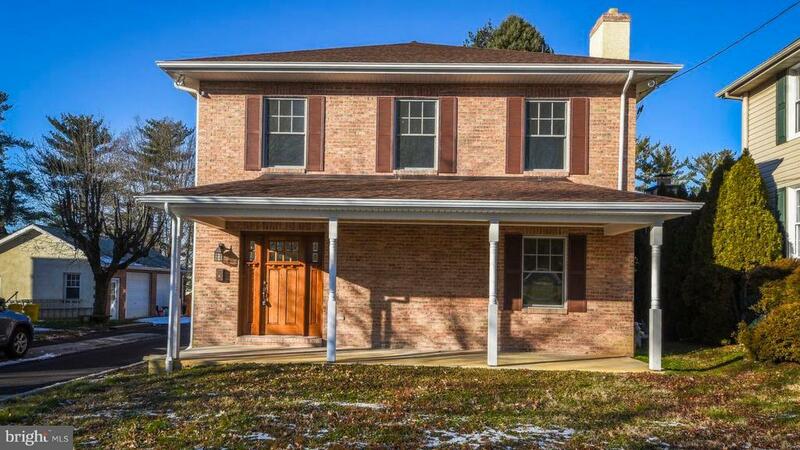 "This home is ideally situated on the corner of Bethlehem Pike and Rose Lane in Flourtown. Close proximity to stores and restaurants and a 30-minute drive to Center City. We are currently using the property as an office space and was previously used as a doctor's office so, this building has a knack for transformation. There is even a parking lot in the back with a large capacity. So, this home can be the perfect place for a residence, business, or both! Come take a look and see for yourself!" "New Home Construction! Phase III homesites now available. The Reserve at Creekside is beyond comparison, the most exciting brand new community in the region, and this beautifully designed home reflects the beauty and architectural style of the historic homes of the area. A completely unique lifestyle is part of the experience, as you'll be free of typical yard work and exterior maintenance, plus you'll enjoy a spectacular, 4,500 sq ft clubhouse and an outdoor swimming pool. This Devon model carriage home provides the perfect setting for dining and entertaining with a gourmet kitchen featuring a large center island, walk-in pantry, and formal dining room. A breakfast area opens out to a deck or optional sunroom. The living room includes a corner fireplace. On the second level, you'll find a spacious owner's suite and a luxurious owner's bath. Two additional bedrooms are served by a hall bath. The lower level offers a considerable amount of additional optional finished space and an optional bath. Nestled between two of the area's most prestigious golf courses, and just a few minutes from the quiet, natural beauty of Wissahickon Valley Park and Ft. Washington Park, this is a location that is as convenient as it is beautiful - all year round. The Reserve at Creekside is close to the shops and supermarkets of Flourtown, and minutes from Chestnut Hill and its two train stations. 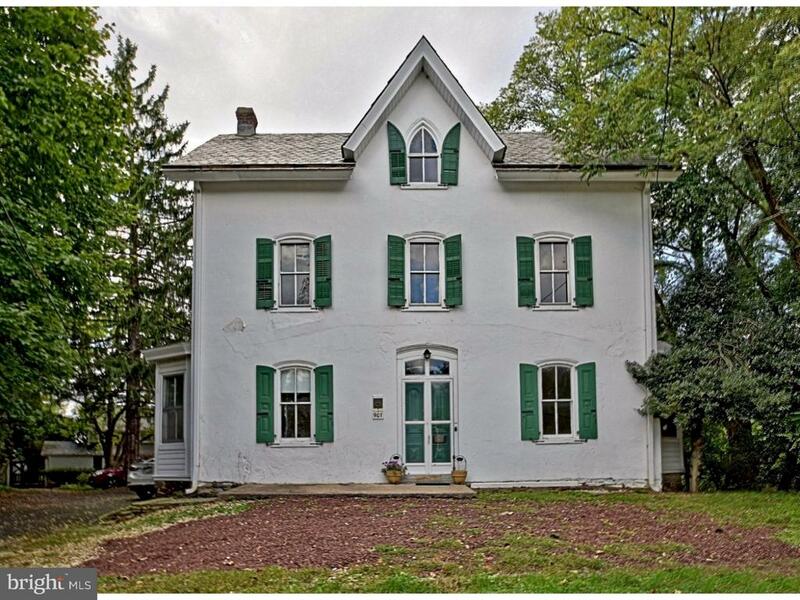 There is easy access to the PA Turnpike and the Ft Washington train station." 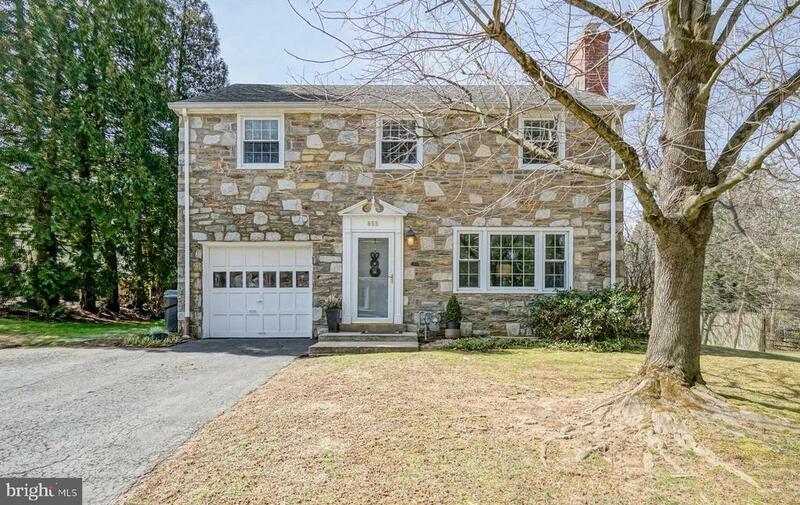 "This lovely colonial style house on Rose Lane, a safe, quiet suburb fewer than 2 miles from the historic Chestnut Hill section of Philadelphia. It is within 400 yards of shopping, banking and schools, making it very convenient for families, working professionals, and retirees. Built with a center hall plan, the entire house from the sub-basement to the roof was refurbished and built as new in 2009. The downstairs consists of a living room with a working fireplace and built-in bookshelves, an adjoining study or den with built-in bookcase and closet, a remodeled kitchen and pantry with top of the line appliances, granite counter tops, tile floors and radiant heat, a remodeled powder room, and a breakfast room with sliding doors that open to the rear patio. New heating and central air conditioning were recently installed. The second floor has four bedrooms with two full baths, one with a Jacuzzi bathtub and the remodeled Master Bath with a steam shower, beautiful tiling, Hansgrohe plumbing, and a rainforest showerhead. There is plenty of closet space in each bedroom and two linen closets in the upper hallway. One bedroom is currently used as a walk-in closet with floor to ceiling mahogany shelving. The full basement, also recently remodeled, has a new waterproofing system (vapor barrier) and is set up for an office. For sale at 539K." "You will fall in love with this charming 4 bedroom 1.5 bath stone front colonial located on a sought after Flourtown street. This well cared for home offers an expanded and very livable first floor plan with an eat in kitchen, living room, dining room and additional family room with access to a back screened in porch. Upstairs you will find 4 spacious bedrooms and one full bath. Enjoy the outdoors in the screened in porch or on the brick patio overlooking the lovely flat back yard. Improvements include newer windows throughout, a newer HVAC system and original private sewer hooked up to public sewer system. Other features include hardwood floors throughout, central air, first floor laundry, one car attached garage and a wood burning fireplace. Conveniently located in walking distance to Ft. Washington State Park, Flourtown shopping, minutes to Chestnut Hill shopping and retail, the R8 and R7 Septa train lines and quick access to major routes (Turnpike, 309). Colonial School District! Do not miss out on this great opportunity!" "Historical character and expansive space. Located in the heart of Flourtown. Abutting open space owned by Mount St Joseph Academy. Can be utilized as a home or as commercial use. The current floor plan has 5 bedrooms, 2 full bathrooms and multiple living areas as well as rear kitchen addition and deck. This is a home awaiting your vision to restore it to its original glory, or convert to suit your needs. First floor features entry hall with a gorgeous staircase, access to the living room and dining room. Extra-large kitchen is in the rear of the home, adjacent to a full bathroom with access to wrap around deck. Second floor features 3 large bedrooms and a full bathroom. Third floor has an additional 2 bedrooms. Two car off-street parking located in the front of the building. Own a piece of the Pike today!" "Looking for a spacious home on a quiet, tree lined street? You've found the one! 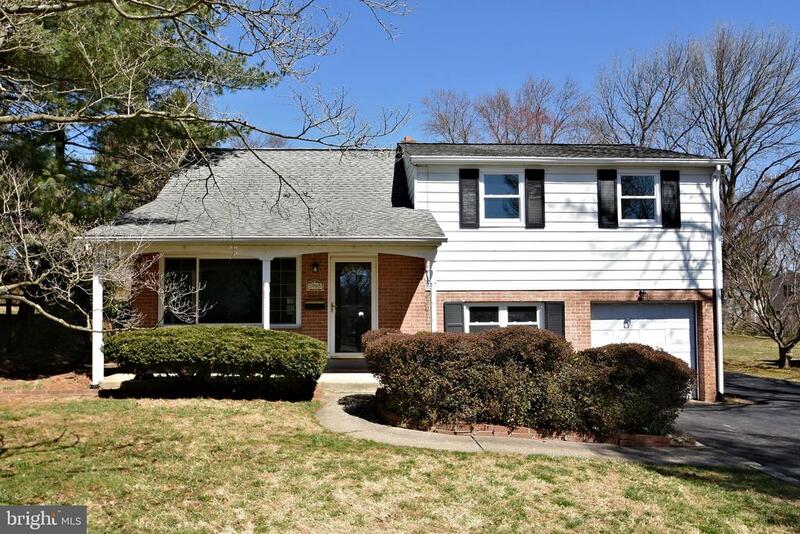 This beautiful 4 bedroom, 1.5 bath split level is just what you've been looking for. The moment you walk through the door you'll be able to imagine settling into this inviting home. The 20x19 family room is waiting for the next big game or gathering. On those cool spring evenings, the gas fireplace will keep you warm. Need more space to spread out? The living room is the perfect place. Another gas fireplace awaits, along with adjoining dining room with sliders to the patio. Whether you're preparing your next holiday meal or celebrating the big game, the kitchen offers plenty of space for all your needs. Upstairs, 4 bedrooms await, with a centrally located bathroom. Don't need a 4th bedroom? Whether you're looking for space for your craft room, man cave, play room, or office, this generously sized room can accommodate. Ample attic storage and convenient first floor laundry complete this lovely home. Only minutes from Route 309 and the Ft Washington interchange of the PA turnpike, and close to multiple regional rail lines, this future neighborhood of yours is in a prime location." 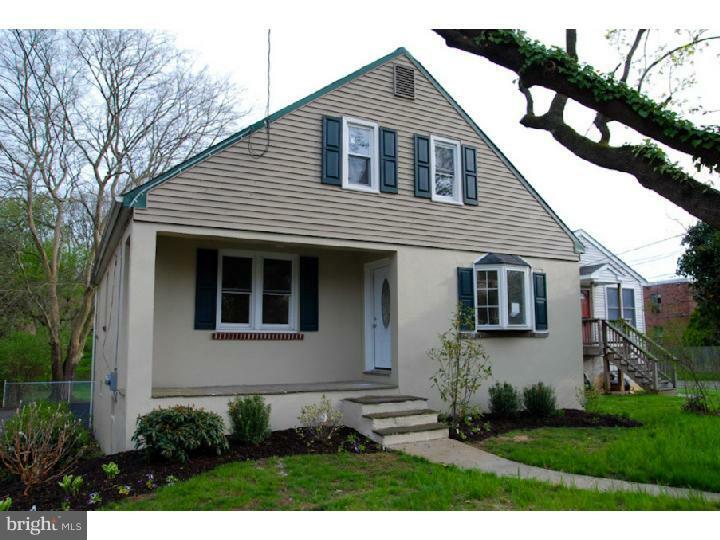 "Move right into this beautifully remodeled split level in Flourtown Gardens! Situated on a quiet block, just steps away from James R. Fulginiti Park, this 4 bedroom, 1.5 bath home is an ideal spot to call home. The bright and sunny main floor features an open layout, with a brand new kitchen, refinished hardwood floors, and access to the screened-in back porch. On the lower level, you~ll find the newly carpeted den, a half bath, and laundry room, along with access to the attached garage. Upstairs, you~ll find 3 bedrooms and a full bath. The top level features a large bedroom with attic access. In addition to all of the renovations, this home also has all brand new, energy efficient windows! This home is conveniently located close to major highways (PA Turnpike, Rt. 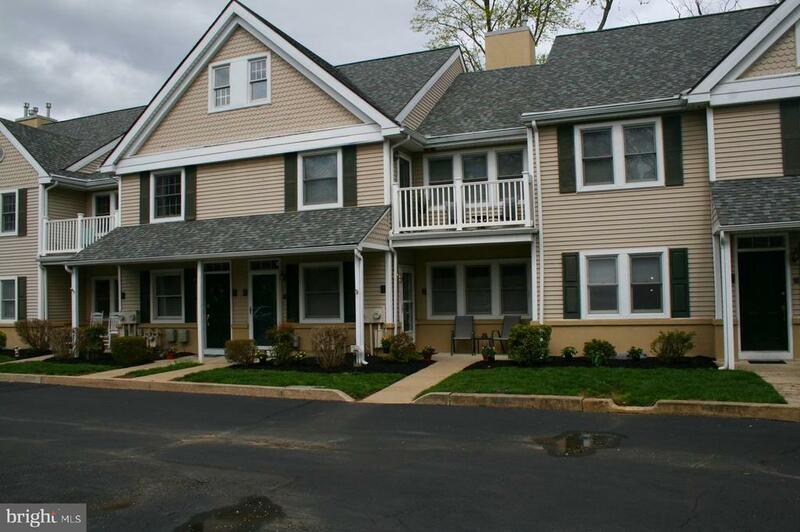 309, Bethlehem Pike, Rt 73) and minutes away from Septa~s Oreland Station. Flourtown offers plenty of restaurants, shops, pharmacies and food stores. Everything you need is less than a 5 minute drive! Showings start Saturday 3/30." "Gorgeous! This beautiful home was renovated BRAND NEW in 2009. Enter into the expansive living room & the open floor plan will captivate you. Recessed lighting, shining h/w floors, a wood-burning fireplace & a large bay window are included! Walk from the living room into the large dining room, also with hardwood floors which looks into the amazing kitchen! A large granite peninsula w/breakfast bar, incredible granite counters, tile floor, KraftMaid soft-close maple cabinets and Frigidaire stainless steel appliances will make this kitchen the perfect well-appointed experience! Two bedrooms & a spacious full bath complete the first floor. Upstairs the HUGE loft has been converted into two HUGE bedrooms w/gorgeous h/w flooring and a massive full bath w/tile flooring! Each room boasts lots of closet space, with additional storage space BEHIND each closet. Downstairs the eye-popping walk-out finished basement contains a powder room, workshop or storage room, laundry, and can easily be finished into additional living space! There's even a single-car attached garage with an automatic opener! The rear-yard goes on forever, including a HUGE parking area for 6 cars, and a fenced-in grassed tree-lined area in back. The home includes NEW electrical, NEW PEX plumbing, all-new thermo-pane windows, new doors, new siding and exterior state-of-the-art zoned A/C, radiator heat, and MUCH MUCH MORE! Located only a short walk from downtown Flourtown and a short ride to Chestnut Hill, you cannot find a better-located home!" "First floor living at it's finest in this spacious 2 bedroom 2 bath condo. Tucked away in private Flourtown cul de sac. Adorable front patio for outdoor relaxation. Enter the front door into this newly renovated open concept Bright an airy space. living room dining room and kitchen all over look each other. hardwood floors, custom reverse blinds allow for great natural light. New Gourmet kitchen to meet any cooks dream boasting quartz counter tops, slide in gas range, tile back splash, inlay ed wood cabinetry and shatter resistant flooring. Large Master bedroom with his and her closets, full master bath updated with double sink vanities. Ample 2nd bedroom with their on full bath. Full finish-able basement with high ceilings for added space and storage. All systems a go with newer heater, hot water heater and a/c. Don't miss this great opportunity for easy first floor living"